Welcome to Community Storage. Convenient self storage options serving Camrose and area since 2012 with 11600 sqft spread across 3 buildings. 81 total units consisting of 34 10x20 and 47 10x10 options. Each unit has a concrete base, drywall interior and overhead door. Additional rental options include a 10x30 Shed and 4 outdoor parking stalls. 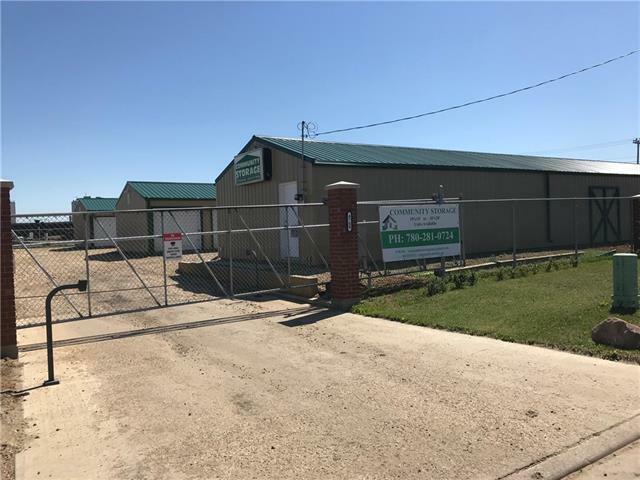 Property comes fully fenced with coded gate access, 2 manual swinging gates for larger moving vehicles and an enclosed 10x10 office. Lot Size 0.91 Sq. Ft.